Will it add a significant chunk to the Aero 15's battery life? We'll have to test it to find out. 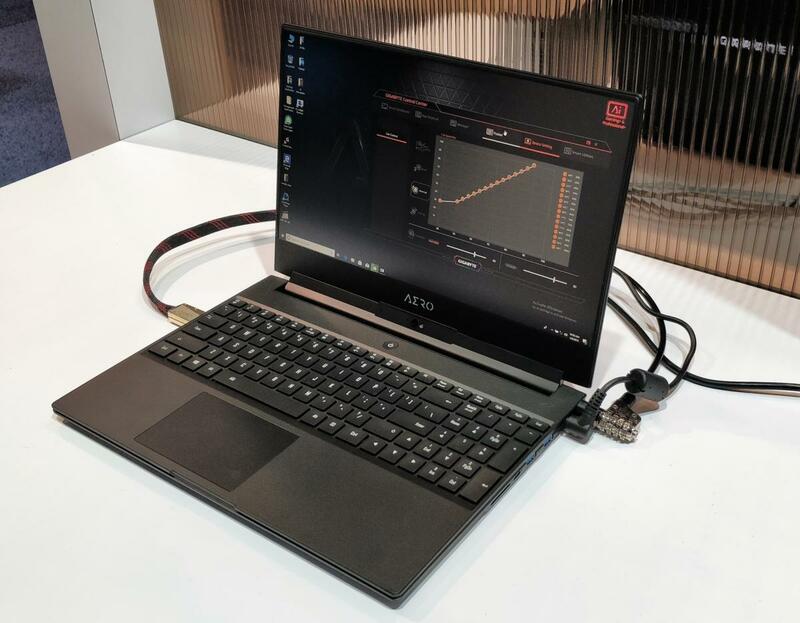 Most gaming notebooks treat good battery life as “nice to have but not essential.” But Gigabyte’s Aero 15 takes battery life seriously—so seriously that it applies machine learning to compare the user’s workload against its own database of applications, and optimizes battery life accordingly. Specifically, Gigabyte uses Microsoft’s Azure AI cloud and its machine learning capabilities to dial CPU and GPU clocks up and down on the fly. Gigabyte is aiming at the very highest end of the market with a power-hungry Core i9 and Nvidia RTX 2080 GPU inside, so battery savings are particularly relevant to this machine. Gigabyte’s Aero 15 is expected to include top-of-the-line hardware, but what’s most interesting will be its software controls. 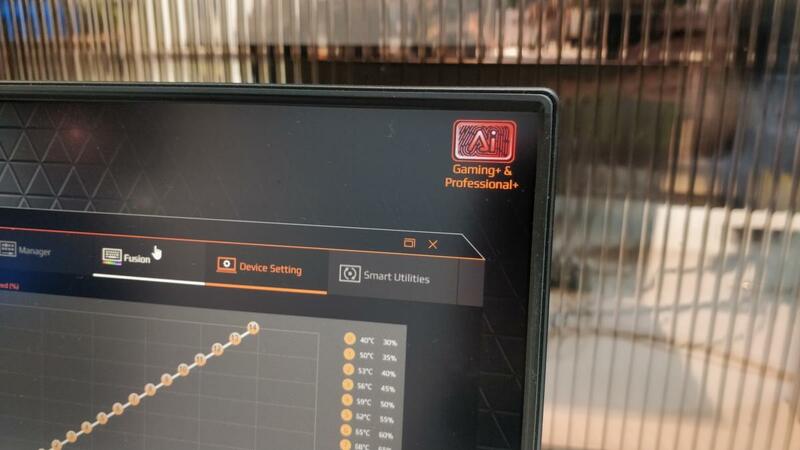 In the upper right-hand corner of the Gigabyte Control Center utility software that ships with the Aero 15, there’s a small “AI+ Gaming and Professional” button that can be toggled on and off. Turning it on allows Gigabyte to take an anonymous snapshot of your system every 10 seconds or so, and compare it against a database of applications and pre-tuned settings. Adjustments are made based upon those settings, and Gigabyte will also make changes if you’re running more than one app at a time. We’ve certainly seen chip manufacturers offer specific drivers to optimize games for their CPUs or GPUs, often providing specific recommendations for settings to optimize a game’s performance. Now Gigabyte’s approach adds an extra element of tuning. Adjustments will ensure that you’ll be able to play Battlefield V at full performance, but of course there’s no need to play League of Legends with the RTX technology turned on. It’s also not quite clear whether Gigabyte can strike a middle ground, and simply downclock the RTX 2080 GPU. 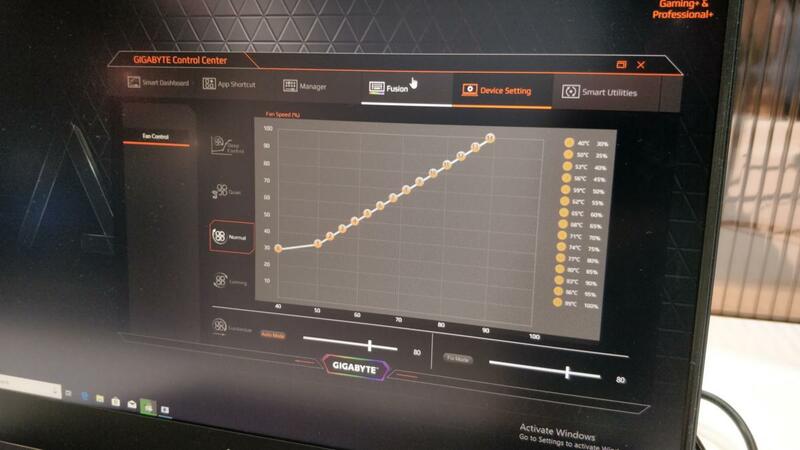 Gigabyte’s Aero 15 will be released at the end of January for a maximum price of $4,000. Gigabyte employees told us there will be both Core i9 and cheaper Core i7 options, as well as an RTX 2070 option to complement the faster, more powerful RTX 2080 option. We weren’t able to obtain a spec sheet, but Gigabyte said there will also be 16GB of dual-channel memory and a 1TB PCIe SSD inside.